Golden Rainbow VIP Residence is situated on the coast line of southern beach in in Sunny Beach resort, surrounded by 300-meter area of dunes. 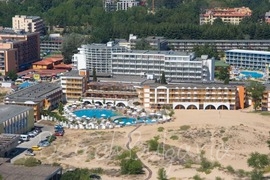 The complex is located 1 km from the centre of Sunny Beach. 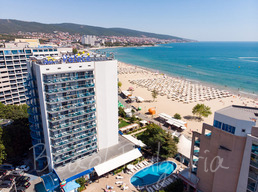 Iberostar Sunny Beach Grand resort is located in the central part of Sunny Beach resort, only a few minutes walk from the beach, shopping, sports, discos and restaurants. 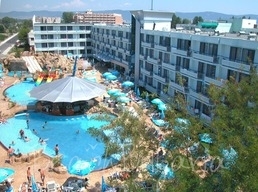 Karolina hotel is located in the southern part of Sunny Beach, 35 km to Bourgas airport. 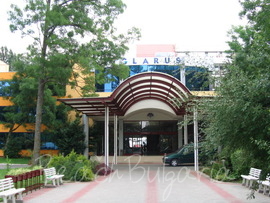 It is 10 min walking from the ancient town of Nessebar and just 100 m from the sandy dunes. 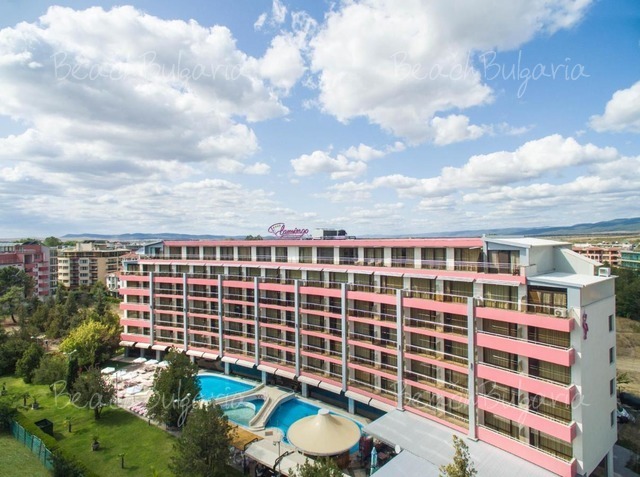 Kotva Hotel is located 350 metres from the beach in Sunny Beach Resort. The hotel features 280 double rooms and 130 one-bedroom suites. Nessebar Beach hotel is located at the beach next to Burgas Beach hotel and Dune Residence and 800 m from the centre of Sunny Beach resort. 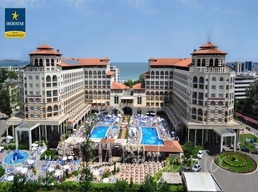 Palace hotel is situated at the north end of the resort, close to the beach. 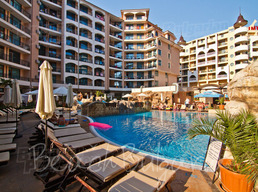 The hotel offers 132 double rooms and 11 apartments. 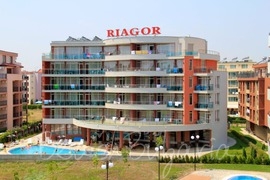 Riagor hotel is located in the Northern part of Sunny Beach resort in a quiet region, 250 m from the beach, 300 m from the Aqua park and 400 m from the centre of Sunny Beach.